With nearly 60 years of professional experience, Ms. Williams has been a nurse in the emergency department of Midland Memorial Hospital since 2005, having held the same positions with Hill Regional Hospital since 1999. In addition to her primary roles, she has been the owner and a clinical nurse at MTW Nursing Consultation since 1996, a clinical development specialist with Heritage Health Services, LC from 1997 to 1999, and a nurse III with Brown School from 1993 to 1997. Ms. Williams became certified in psychiatric/mental health nursing, nursing professional development, clinical nurse specialist, and advanced practice nursing. From 1992 to 1993, Ms. Williams was director of nursing at Charter Healthcare Systems, and from 1987 to 1992 she was a clinical educator and supervisor at Glenwood, A Psychiatric Hospital. She previously served as a field supervisor at We Care Home Health Agency from 1983 to 1987, she was with Area Builders from 1981 to 1983, and she was a sergeant with Burns Security from 1979 to 1981. Ms. Williams was a nursing practitioner with St. Luke’s hospital from 1975 to 1979, a research assistant with Teachers College from 1973 to 1974, and an assistant professor at Pan American University from 1970 to 1972. 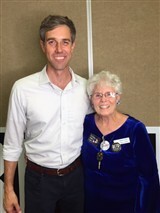 Earlier in her career, she was director of ADNP at Laredo Junior College from 1967 to 1970, and instructor at Odessa College from 1963 to 1967, and a nurse at Midland Memorial Hospital from 1960 to 1963. Out of all the highlights of her career, Ms. Williams continues to be proudest of the accomplishments of her son. In addition, she was able to help a woman in labor who was experiencing distress and the doctor accredited the survival of the baby to her. Ms. Williams has received numerous accolades for her work, including an Achievement Award from the Community Leaders of America and the Isabelle Hampton-Robb Award from the National League for Nursing. In addition, she was named to the Texas Woman’s University Great 100 Nurses and to Women of Distinction.